Bitcoin affiliate programs are a great way to make passive income. Services that run Bitcoin affiliate programs will pay you in bitcoins if you send them paying customers. The more people that click your link, the higher the chance that you’ll make some decent money. Which means getting a whole shitload of internet traffic is the key part of making any kind of serious money with affiliate programs. Facebook has a great marketing potential, and it is important to use Facebook pages as a tool in your affiliate strategy. Learn how to go over and set up your own page, so you can use Facebook to expand your affiliate marketing reach. Once you are all set up, you need to ensure your Facebook page is designed for SEO, so I’ll explain how to do this. “Likes” are the social currency of Facebook, so you will learn you how to use this system to grow the number of relevant people who “like” your page. You will learn how you can use the simple and cheap Facebook ads to attract the more targeted audience. As you develop that fan base, you need to engage with them, both to keep your Facebook page active and to keep your social media reach growing. I’ll guide you through the best ways to do this. All this creates traffic for Facebook, but to make that relevant to your marketing, you need to get the traffic back to your affiliate sites and offers. Finally, I’ll tell you how Facebook Ads work and show you how to make them. 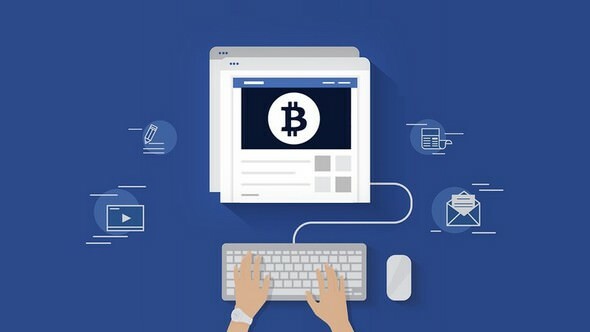 In the second part of the course, we will go over and see how you can create a Bitcoin Facebook group, SEO optimization techniques for Facebook group and how you can jump start with your Bitcoin Facebook group. You will discover secret methods to grow your group and how you can promote your Bitcoin Facebook group. This course is for those who are familiar with the basic understanding of Bitcoin and how the Bitcoin works and who want to create, monetize, and manage Bitcoin Facebook page and group and start profitable earnings.